Breach in artificial lake in China-Not to go to Siang river bank, it’s tributaries for fishing, firewood, sands collection, or travelling etc. 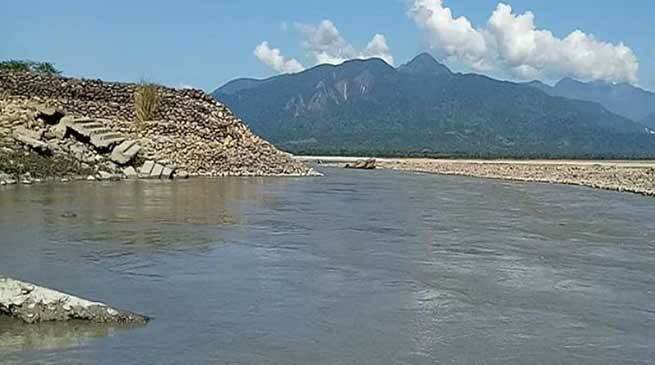 Authorities in Arunachal Pradesh’s East Siang district have issued an alert asking people not to go near Siang river and to remain alert following the information of a breach or break of some portion of the blockade of Yarlung Tsangpo in China. Flood in Siang is a possibility. It must be mention here that ” an artificial lake developed on the Yarlung Tsangpo in China on Wednesday after a cliff fell on a section of the river. However the water level of the Siang river in Arunachal Pradesh has gone down due to the formation of the lake and also led to fears of large-scale floods if the dam formed by the landslide breaks. Not to go to Siang river bank & it’s tributaries for fishing, firewood, sands & travels etc. To cancel any travel along the stretch of Siang River. in the advisory it is also mention that , ADCs, COs, HoDs, HoOs, Public leaders, General Public & all those who read this post to circulate it so that damages to life & property arising out of any eventuality is prevented.